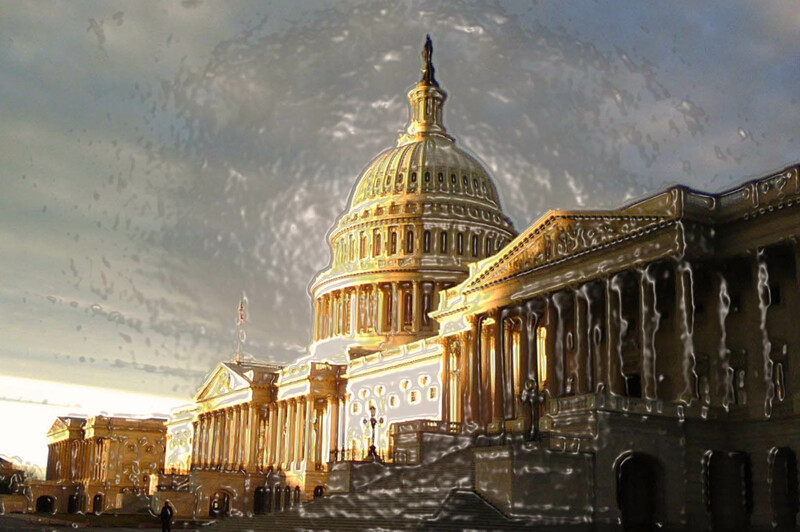 One of the tangible harms to come from the recent debt ceiling–government shutdown crisis was the continuation of a “cycle of distrust — not just in substance, but in procedure” between political bodies within the U.S. government, according to politics professor John Baughman. With Democrats and Republicans using the alleged dangers of those crises to offset waning support, and with actual discussion of applicable law buried under circular and inflammatory rhetoric, many observers simply feel duped after that government fiasco. Baughman spoke as part of an Oct. 23 faculty panel invited by Bates’ new Law and Politics Club to demystify the crisis. Two faculty from the economics department and two from politics drew some 50 earnest students to a basement room in Pettengill to learn about the myths and realities of the government gridlock. Speaking frankly and with good-humored jadedness, politics professors Baughman and Áslaug Ásgeirsdóttir and economists George Perkins and Paul Shea spent more than an hour deconstructing the situation. The exchanges between audience and professors were on point but casual. At one point, economics-minded students began asking specific policy questions, prompting another student to ask for a time out so the professors could explain what the government shutdown actually was — and prompting the panelists themselves to laugh at the academic inclination to jump into the esoteric without laying out a basic foundation. Students wanted to know why the debt ceiling exists, considering that, as Perkins and Shea explained, there is no constitutional basis for it, and how the legislation that caused both the debt ceiling and shutdown crises could be so politicized. Economist Shea focused on the “complete macroeconomic illiteracy” of an arbitrary debt ceiling. Perkins compared the national financial obligation to the debt of an American of median income level, revealing that the government actually has a lower income-to-debt ratio than the typical citizen. The government should actually worry more, he said, about the deflation that results from a lack of incurring debt and investment in infrastructure. Ásgeirsdóttir and Baughman discussed how each political persuasion took the financial crisis as a tool to garner more support for their side and rouse more rancor for the other, leading not only to a political “zero sum game” but also to day-to-day difficulties for Americans furloughed during the shutdown. The event succeeded in part because of the faculty’s ease with translating policy and economic theories to colloquial, understandable terms. Each professor clearly believed in the inanity of the conversation about the crisis in the media and within the government. Their mockery of this political tempest surfaced in almost every answer they gave to students, who for the most part responded with humor of their own. Shea, for example, explained that in essence, the government fabricated a crisis and then produced equally specious responses to that crisis that, in fact, resulted in tangible harm. Clearly the new Law and Politics Club fulfills a real campus need. Co-founder and treasurer Emily Baumgarten ’16 was moved to start a club at Bates to promote discussions of law and politics in an inquisitive setting that isn’t tied to furthering the campaign of any political candidate. The October gridlock, all-consuming but confusing, seemed like the ideal opportunity “for non-political people and politics majors alike to come together and discuss current events,” said Baumgarten. College students are rarely connected to day-to-day political realities, often only having time to get their news from Facebook updates and viral blog posts that are consumed in seconds without any time to critically weigh what is actually happening. The linking of the debt ceiling limit to the government shutdown, all the inflammatory rhetoric and all the false logic left many Bates students angry but completely unclear about the realities of the situation. In response, the Law and Politics Club created an environment of clarity, learning and decorum about issues often not treated with such grace.